An Oct. 22 WorldNetDaily article on supporters of the militia-type folks who staged an armed takeover of an Oregon wildlife refuge, with the apparent pretense that "While most media coverage has reflected the government’s viewpoint in the high-profile dispute, WND went to the trial in Multnomah County and interviewed a number of supporters of the defendants and their cause, in an effort to get their side out as well." The article carries the byline of April Kiessling, identified at the end of the article as "a long-time contributing writer for WND." That's strange, since we didn't recall ever encountering her byline before, and her byline was inline with the article text instead of a more formal byline that incorporates bio and archive links as most WND writers get. 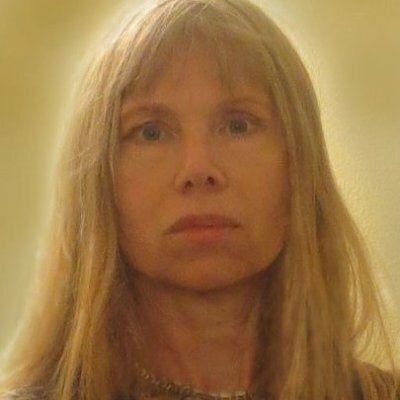 A quick Google search of Kiessling's name brought up her LinkedIn profile, which notes that she is a "self-employed artist" who has also been writing for WND since April 2011, with the note "I write a weekly column under a pseudonym (World Net is highly political)." She's also based in Portland, Oregon, where the trial was being held. April Kiessling is Marisa Martin. We've documented how Kiessling -- er, Martin has used her WND column to spew hatred of President Obama and even freaking out over how undignified it is for a cartoon character to die protecting a gay man -- you know, stuff that most people would want to kept hidden behind a pseudonym. Why are we exposing Kiessling in this way? First, her disguise was paper-thin, and it took so little to figure it out -- literally two minutes of work. Second, we believe people should take responsibility for the work they produce and not hide behind a fake name to spew bile and hate. If Kiessling signs her own name to the artwork she produces, she should also put her own name on what she writes. Third, WND has a bad habit of letting people peddle hate under fake names. We were among the first to reveal that longtime WND columnist Vox Day was actually Theodore Beale, son of an early WND funder. "Martin's" WND bio claimes she "uses a pen name because she feels it is terribly rude for an artist to criticize other artists – and it slows the hate mail down." But really, what kind of true artist are you if you're afraid to put your own name on your work?